There will be an early weigh-in at Center Grover HS on 1/26/19. 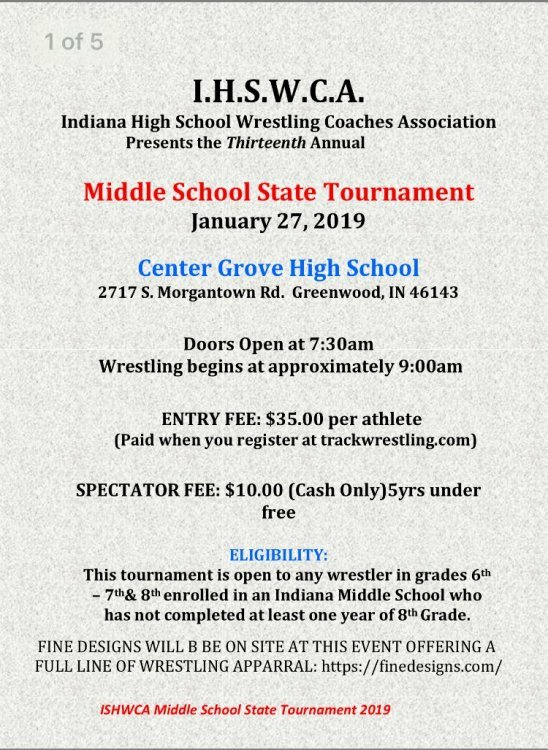 It is $20 per wrestler, cash only. 6:00-10:00pm. It is in the West Gym on the Southwest corner of the high school off of Morgantown Road. Enter through door 3.